Robin Thicke dedicates his Top R&B Song award to wife Paula Patton. 4. 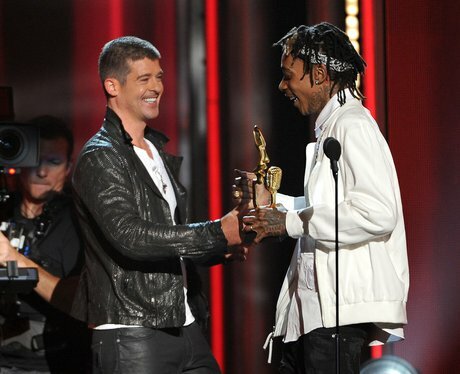 Robin Thicke dedicates his Top R&B Song award to wife Paula Patton.